Last week at Cost Plus World Market I found the most adorable cookie cutter ever and so I HAD to try it out in honor of Valentine’s day. I actually just used the recipe on the back of the package and it turned out pretty well! Check out the recipe here for the Shortbread cookies that I made. 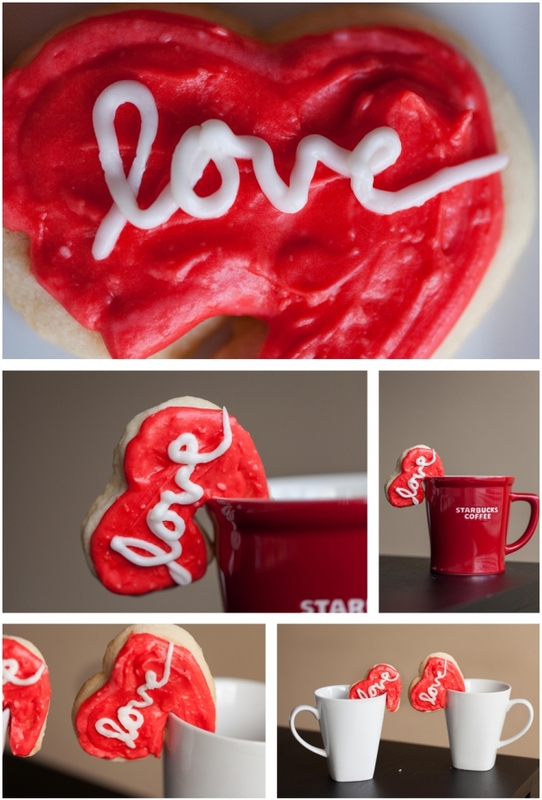 These cookies are perfect paired with a cup of coffee and might even be a nice thing to include with “breakfast in bed” for your sweetie on Valentines day (hint, hint) . Here is my attempt at infusing love into my baked goods. Apparently love looks like frosting. 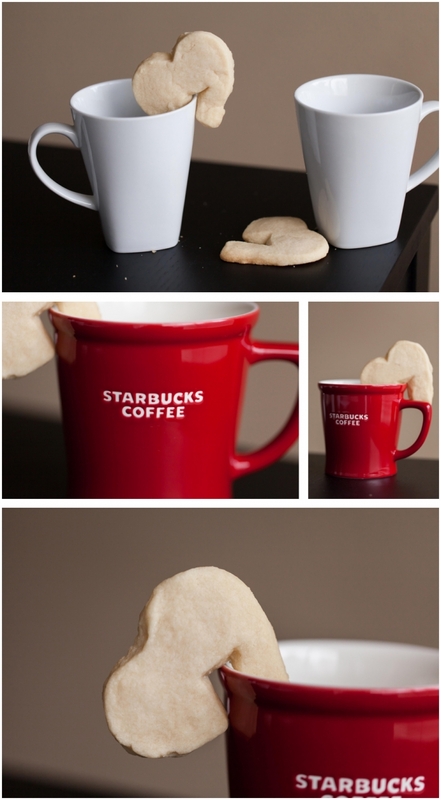 These cookies do not like staying on the rim of the mug! Lesson learned. Sacrifice yourself. Eat cookies faster.